Written by Glowacki MD on February 19, 2018 . Posted in Pain Management News. The current onslaught of various medical and peripheral medical professionals selling a cure-all for knee and joint pain through “stem cell” injections is luring pain suffering patients eager to avoid surgery to plunk down $5,000 – $10,000 cash for a quick cure. Stem cell therapy is not currently covered by insurance. Seminars heavily promoted on social media encourage pain sufferers to attend, sign up and prepay for the consultation and initial treatment. 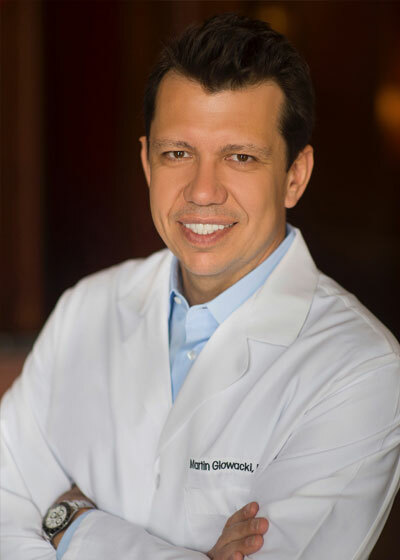 Martin Glowacki, M.D., Board Certified Anesthesiologist and Pain Management specialist, warns patients to beware and be forewarned. The buzzword in modern medicine, and particularly in orthopedics and pain, is stem cell therapy. Stem cells are ‘early’ cells that can grow, differentiate, and assist other building cells and healing substances into the area of the body where regeneration is needed. Currently acceptable and FDA approved, stem cells ought to be harvested from the patient’s bone marrow, adipose (fat) tissue, and the umbilical cord. Unfortunately, there are many other ‘commercially’ promoted stem cell sources that don’t fall into the above categories, most commonly amniotic fluid stem cells. These are prepared in a lab, washed, cleansed and then rendered with virtually NOT ONE stem cell in the preparation. The FDA, however, only recognizes valid stem cells as those harvested from the patient; not manipulated, washed or prepared, and “quickly” injected back into the patient. Unfortunately, many companies, and opportunistic physicians have marketed these ‘amniotic stem cells’ to unsuspecting patients as “stem cell therapy” and have profited greatly, charging anywhere from $5,000 -$10,000 per treatment. Aside from offering no benefit to the patient, these therapies are actually contaminating the true data that could help establish and improve future treatments. The physicians and companies who proffer these treatments ought to be considered as “snake oil salesmen” who perform sham therapies solely for profit. Appropriate stem cell therapy is done in a setting where a sample of the patient’s bone marrow is aspirated, then placed in a specialized centrifuge in order to obtain a concentrate of stem cells. These are then injected by the physician, in the desirable area, using ultrasound or x-ray guidance. Stem cells can then take months to “regenerate” the particular region, with attendant studies showing a remarkable decrease in the need for surgery. Stem cell therapy is currently in the investigational phase and, unfortunately, is not covered by insurance. An average charge of $3000-$5000 can be expected, depending on the area(s) treated. Procedures are performed in a clinic setting, as an outpatient, and should take about one hour to complete. The most common areas treated are knee joints, with physicians also increasingly applying these applications to hips and shoulder joints as well. The frontier of therapy is now focusing on spinal disorders, with stem cells helping to regenerate spinal discs and assisting in the healing of arthritis. Stem cell therapy is ideal for patients with mild to moderate degeneration. Patients ought to first engage with a reputable physician, who ONLY offers bone marrow stem cell therapy, and who performs injections under an approved standard of excellence.